Ceramic fiber,Biosoluble Fiber factory,Biopersistence fibre Manufacturer-China Tianjin Tuolin Technology Co., Ltd.
Tianjin Tuolin Technology Co., Ltd. is located in Tianjin City, one of the most important ports in China. 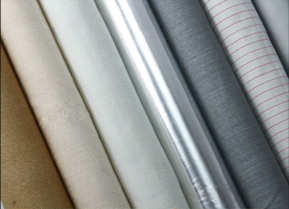 We are one of the largest Chinese manufacturers of high temperature textiles. 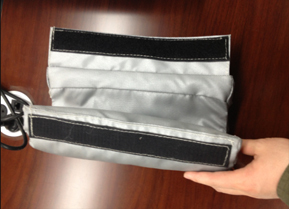 All of our partners have majored in high temperature textiles over 10 years. 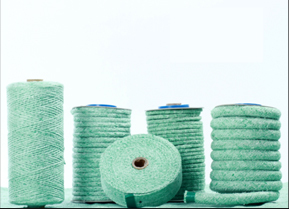 We began with ceramic fiber cloth, tapes, ropes and sleeves production and export to European markets firstly. 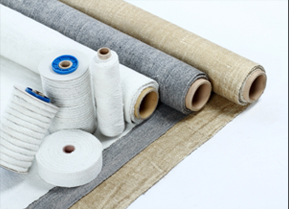 Based on the ceramic fiber production experience, we extended our products to Biosoluble fiber textiles, silica fiber textiles, glass fiber textiles, basalt fiber textiles and quartz fiber textiles. As one of the largest Chinese manufacturers of high temperature textiles, we are committed to cooperate with our client by our full of the experience on the products, research and inspection. Take the ceramic fiber as an example, in order to meet different clients’ requirement, we know when used different material in the ceramic fiber yarn as below. Copyright: Tianjin Tuolin Technology Co., Ltd.